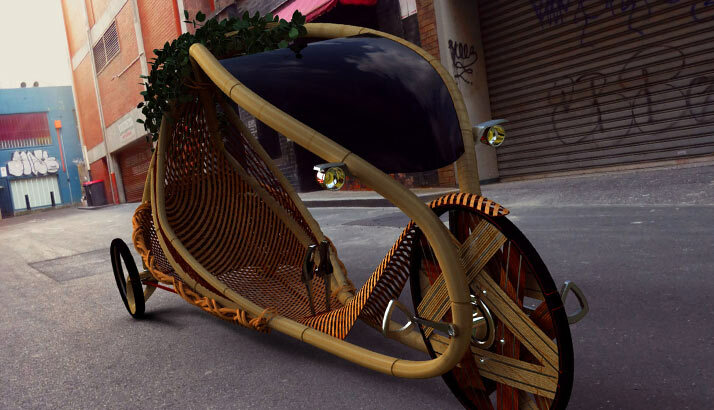 The building of Bamboo bikes has become increasingly popular both in the west and developing countries. This is the developing and inspirational AfreeAfrica Bike Site Lab. Even before we have placed the round "House of Health & Innovation" in Kpong Eastern Ghana, we have searched for some of the leading entrepreneurs, inventors and specialist in the field of green tech research. The aim of this branch is creating and presenting ideas for starting up a production based on the different materials which we are going to produce in Kpong. On example from Europe is the Danish site: www.bambuscykler.dk Radio program only in Danish.